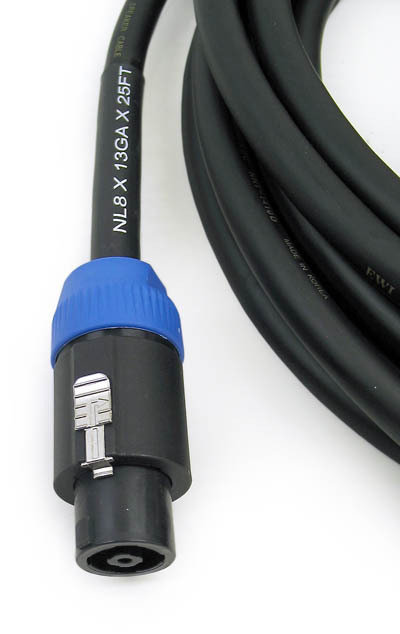 The EWI NL813 speaker cable is a professional grade speaker cable constructed for multiple speaker connection applications. 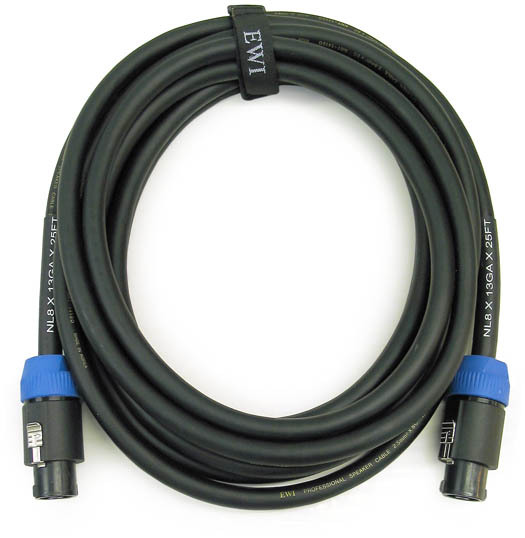 The cable is EWI NNT 1410D 13ga. (2.5 sq. mm) x 8 conductor fine stranded, extremely high purity copper speaker cable. This cable lays and coils nice considering the good durability properties. The ends are genuine Neutrik NL8FC Speakon®. The connectors are assembled as per Neutrik recommendations with an eye to detail and quality workmanship. EWI NNT 1410D 13ga. 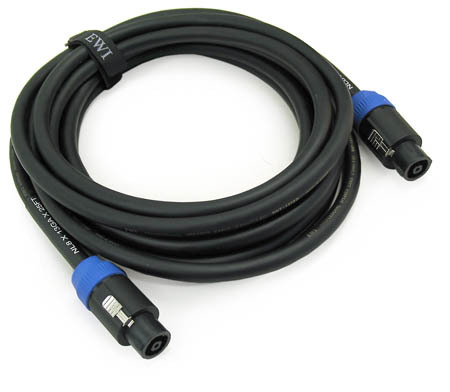 x 8 conductor cable. Professional grade Amplifier to Loudspeaker connection for multiple driver configurations. NL813GA-2: 2 ft, 0.85 lbs. NL813GA-2.5: 2.5 ft, 1.10 lbs. NL813GA-3: 3 ft, 1.36 lbs. NL813GA-5: 5 ft, 1.42 lbs. NL813GA-10: 10 ft, 2.52 lbs. NL813GA-15: 15 ft, 3.62 lbs. NL813GA-20: 20 ft, 4.72 lbs. NL813GA-25: 25 ft, 5.82 lbs. NL813GA-30: 30 ft, 6.92 lbs. NL813GA-40: 40 ft, 9.12 lbs. NL813GA-50: 50 ft, 11.32 lbs. NL813GA-75: 75 ft, 16.82 lbs. NL813GA-100: 100 ft, 22.32 lbs.